The film’s disingenuous, dishonest mash-up of disproven shibboleths aimed at the U.S. government and Secretary of State Hillary Clinton was timed to be released just before the Iowa Caucuses and New Hampshire Primary. 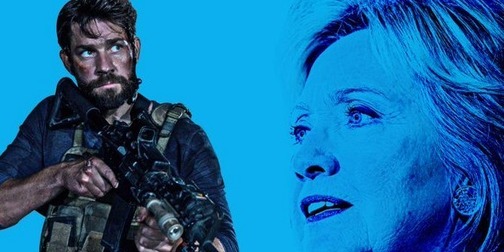 Sadly for right-wing supporters, the film seems to backfire as badly as the Congressional Hearings, which actually ended up bolstering Secretary Clinton’s standing in handling of the Benghazi tragedy. Pretentious inaccuracies aside, the film is a poorly written, sloppily directed, over long exercise in de rigueur action scenes which seem to be dialed up from Expendables outtakes. Where does educational story end and propaganda begin?